Thanks for sharing your insights about something so near and dear to my heart. I am glad you are finding joy in sharing your voice. What a timely blog post, Paula! I just read an article about a voice being developed for AI devices that is gender neutral. So that people who chose not to self-identify can have a voice they can feel comfortable with. The developers said that 145 Hz to 175 Hz is the gender-neutral range and they call the voice Q. It would be another option for people when they choose the voice for Siri, Alexa, etc. Here is a link to the article and you can listen to the voice. It was fascinating! 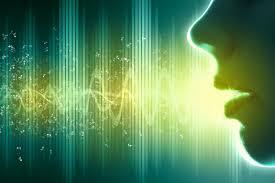 As I listened, my thoughts veered back and forth, “The voice sounds male, no it sounds female.” As you noted, a voice definitely influences our perceptions. Fascinating! I’ll have to take a look. It’s good to hear from you Jeri. I hope all is well with you. Yes, you sooth with your voice … and your writing…. I would say your underlying soothing energy that gives you a special ability think of, speak about and project in your own way … a thoughtful and tender story. Thank you for being you … without a label, without a category, without constraints.